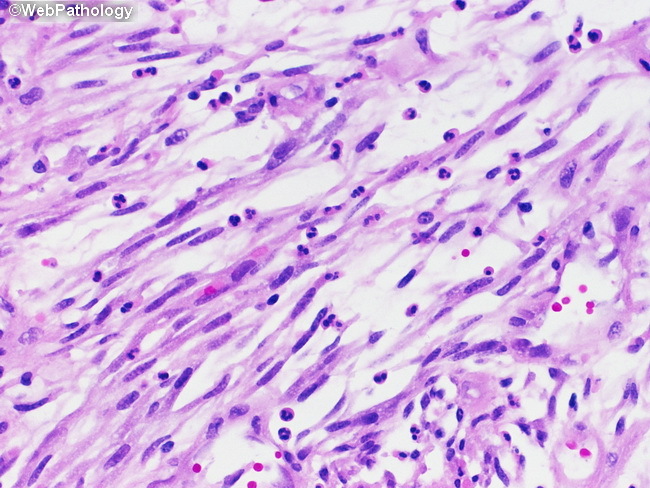 The appearance of a post-operative spindle cell nodules (PSCN) has been compared to fibroblasts in tissue culture. The differential diagnosis includes myxoid leiomyosarcoma, embryonal rhabdomyosarcoma, and sarcomatoid carcinoma. PSCN pursues a benign clinical course and rarely recurs even after incomplete resection.